Commodities: Markets, Performance, and Strategies provides a comprehensive view of commodity markets by describing and analyzing historical commodity performance, vehicles for investing in commodities, portfolio strategies, and current topics. It begins with the basics of commodity markets and various investment vehicles. The book then highlights the unique risk and return profiles of commodity investments, along with the dangers from mismanaged risk practices. The book also provides important insights into recent developments, including high frequency trading, financialization, and the emergence of virtual currencies as commodities. Readers of Commodities: Markets, Performance, and Strategies can gain an in-depth understanding about the multiple dimensions of commodity investing from experts from around the world. Commodity markets can be accessed with products that create unique risk and return dynamics for investors worldwide. The authors provide insights in a range of areas, from the economics of supply and demand for individual physical commodities through the financial products used to gain exposure to commodities. The book balances useful practical advice on commodity exposure while exposing the reader to various pitfalls inherent in these markets. Readers interested in a basic understanding will benefit as will those looking for more in-depth presentations of specific areas within commodity markets. 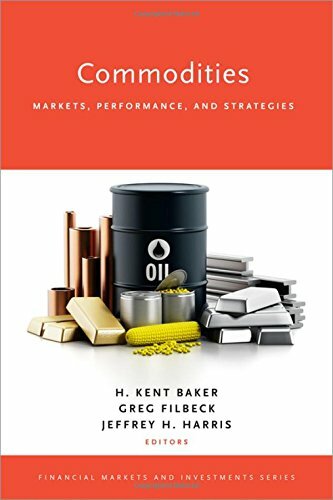 Overall, Commodities: Markets, Performance, and Strategies provides a fresh look at the myriad dimensions of investing in these globally important markets.